Ever wondered “What’s the point Organic food?” It is about health? Or about the environment? Why should I buy Organic pet food, my pet can’t tell the difference… Well here is the lowdown: The Objectives of Organic! 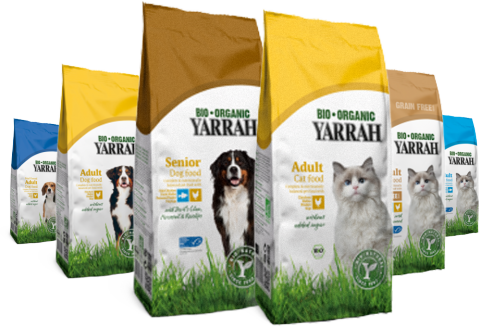 The European Union regulations on organic food production form the basis of all organic certifications, like The Soil Association certification, or Skal, AB and Bio-Siegel who certify Yarrah Organic Pet food. 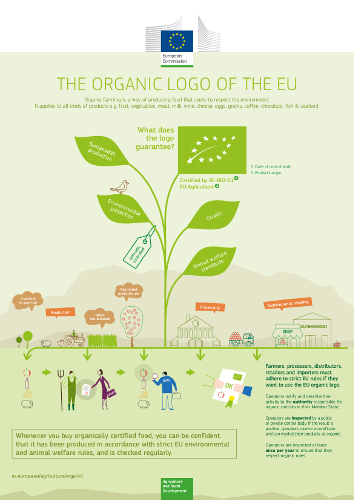 These regulations set out the three main objectives of Organic Production across Europe. As part of our Organic September celebrations, we have put together some interesting examples for you, as to why these objectives are so important. Soil erosion, water quality and marine life. According to The National Research Council (USA), referenced on Wikipedia, “Unsustainable agricultural practices are the single greatest contributor to the global increase in erosion rates” . 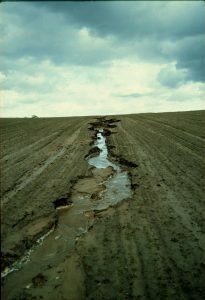 You would think that the most devastating impact of soil erosion would be on the farmland itself. This has often lead me to wonder why the farmers don’t do more to prevent it. 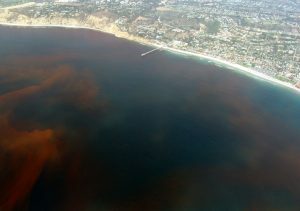 However, it is the impact on water quality that is the most shocking. One major problem is Nitrogen washing out of heavily damaged soil. “Of the 93.6 million acres of corn planed in 2007, it is estimated that 117 million kg of nitrogen were deposited into national waterways.”  This has devastating consequences on the environment. 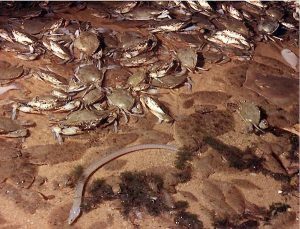 For example, In the Gulf of Mexico. The low oxygen levels are caused by a chain reaction which begins with soil erosion causing nitrogen (and pesticide) run-off from farms. As the nitrogen content in the water soars, the algae multiply like crazy. They use up large quantities of Dissolved Oxygen in the water and eventually start to die from lack of oxygen. As they degrade, even more Dissolved Oxygen is consumed, and eventually, fish and other aquatic organisms suffocate. According to research, 65% of the Nitrogen in the Gulf of Mexico comes from intensive farming. The “Dead Zone” caused by this is now about 17,000 km2 (to compare, Northern Ireland is only 13,843 km2!). So, it’s not just about the farm land! As you can see, the problems caused by intensive farming are not isolated. They affect all of “nature’s systems and cycles” and what is harmful to one part of the cycle can be devastating to another. Organic farmers do not merely avoid the over use of nitrogen fertilizers, but actively seek to keep soil healthy and stop erosion. Healthy soil holds it’s nitrogen and so it does does not get washed away into the water supply! So, by taking care of their land Organic farmers are taking care of the whole eco-system! Organic farming must contribute “to a high level of biological diversity”. This means the farm should provide a hospitable environment for the birds and the bees! The emergence of Colony Collapse Disorder has been of grave concern for several years, and the scale of the destruction of bee colonies has dismayed and dumbfounded scientists, consumers and politicians alike. While a proven cause or list of causes has not yet been established, many of the theories focus on farming. In fact 8 of the 10 theory categories listed on Wikipedia relate directly to farming or farming practices, and cover everything from bee-rental to genetic diversity loss from selective bee breeding. The European Union temporarily banned neonicotinoid insecticides in 2013, and is looking at a permanent ban currently. So how can Organic help? Bees are so vital to our survival and to the functioning of our wonderful planet. Their pollination skills are responsible for one in every three mouthfuls of food that we eat . Organic farming, by its nature, keeps bee health at its core – therefore, Organic farming is vital to our survival too! 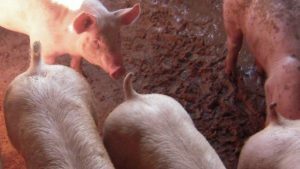 Animal Welfare: The Pigs Tail! Letting animals do what they naturally do, including having tails! Organic farming “respects high animal welfare standards and in particular meets animals’ species-specific behavioral needs.” This is an often overlooked aspect of Organic farming. While many people care deeply about animal welfare, Organic is often associated purely with human health concerns. As you can see, however, animal welfare is not a secondary goal or bi-product of Organic farming. It is listed as one of it’s main objectives. Quality and variety – as demanded by you! The remaining objectives focus on quality and diversity of produce. 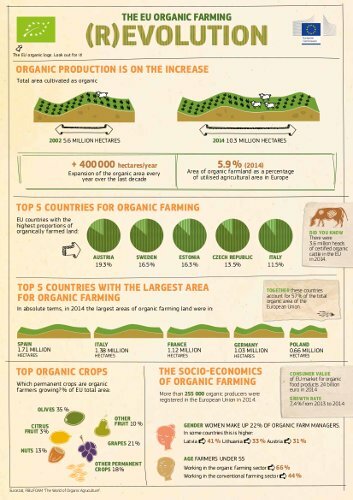 I think it is fantastic that these are seen as core objectives – it really highlights why organic farming exists. It exists because we, the eaters of food, demanded it be so. I am truly proud to be part of a movement which is saving fish, and birds, and bees and piglets tails – aren’t you? This blog is an update of a previous blog: The Objectives of Organic, 2013. Try Organic Pet Food today! Buy Organic dog & cat food or Vegan+Organic dog food from us today! Want to read more articles like this? Sign up to "The Ethical Pets Gazzette"! Is vegetarian dog food healthy? Anna Morris on Can dogs be Vegan? What do scientists say? Anna on Can dogs be Vegan? What do scientists say? epadminny on How YOU can save the world! Science versus Veganism - on Is vegan dog food healthy for dogs? What does science say?